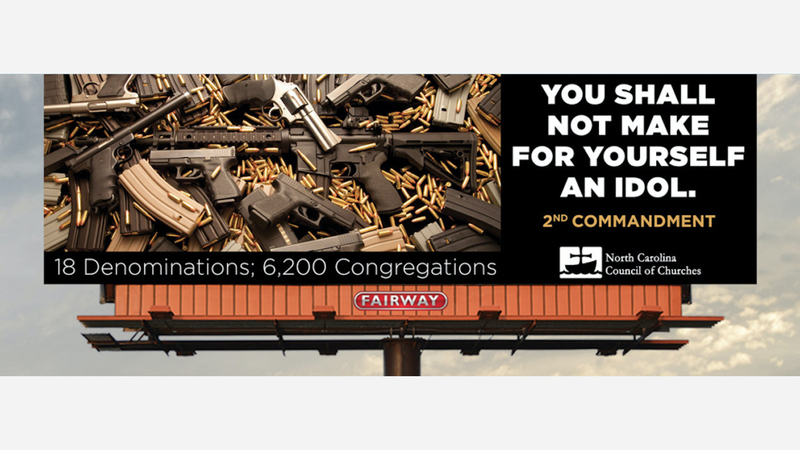 MEBANE, NC (WTVD) -- The North Carolina Council of Churches plans to put up a billboard on a local interstate in the coming days, and it expects the sign to attract some attention. The message? That the Second Commandment - that no idol shall be worshiped - supersedes the Second Amendment that gives citizens the right to bear arms. The billboard is expected to go up near Mebane on I-40/85 next week, and remain up for a month.